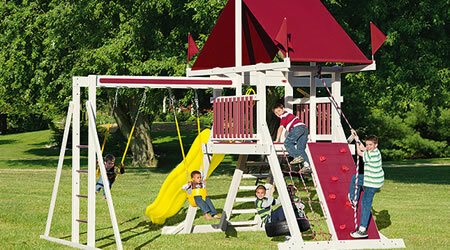 Swing Kingdom Playsets - High-End Plays Sets For Home Owners in Nebraska and Iowa - Play, Inc. 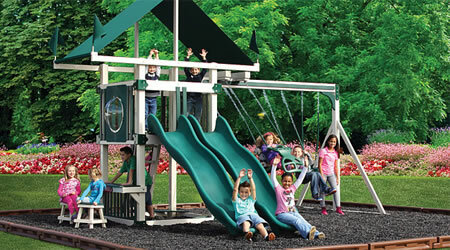 PLAY inc is proud to offer Swing Kingdom playsets, a high-end playset option for selective home-owners in and around Nebraska and Iowa. 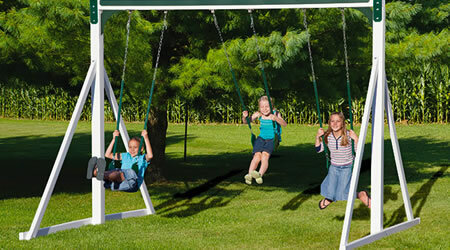 Our Swing Kingdom vinyl covered playsets are low-maintenance, safe, and durable. 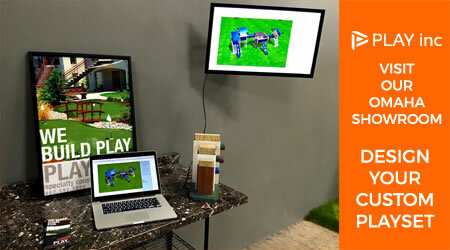 Swing Kingdom offers over 30 playsets for your backyard, but if you can't find your perfect playset, then visit our design center, and customize your playset from the ground up. Can't Find the Perfect Playset Below? 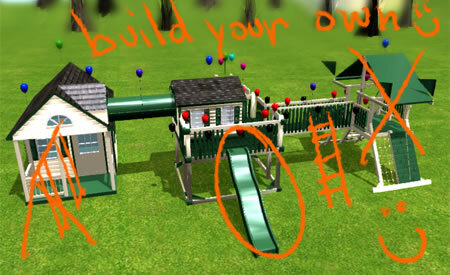 Build your own custom playset from the ground up. 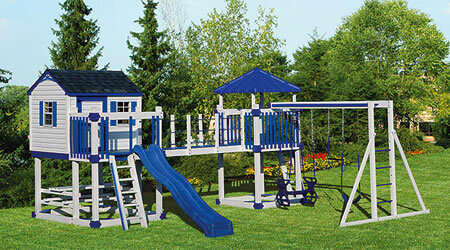 The Kastle Tower Series features a great entry point into standalone playsets, especially for a smaller backyard. Kastle Tower playsets are also a the perfect starting point for creating your own custom playset. Great for multiple kids, the Double Tower series can be loaded with accessories, and like all of the Swing Kingdom kits is fully customizable. The Mountain Climber Series playsets includes climbing elements to boost active play amongst children of all ages. 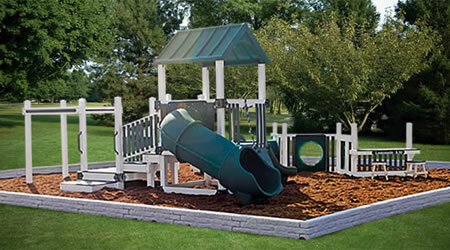 Give your children 'room' to let their imagination grow with the Playhouse Series of backyard playsets. 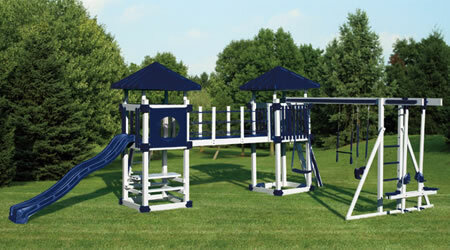 The Commercial Series of playsets offers 3 different models, perfect for your neighborhood, church, daycare, or school. 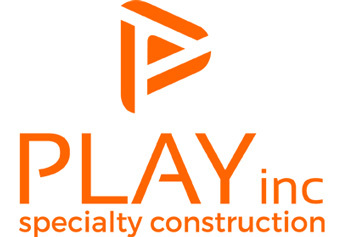 Our sturdy construction promotes safe play and can be customized for ADA compliance. Here's some information on what makes Freestanding playsets different from the other varieties of playsets that Swing Kingdom offers. Visit our Omaha showroom located on the second level of the Omaha Sports Complex. Schedule a visit for a free design consultation.